In light of the ongoing attacks on the city of Paris by as-of-yet unknown assailants, the French government has shut down borders and the Army has begun securing the city, with the help of taxi drivers offering free rides to get people to secured locations. 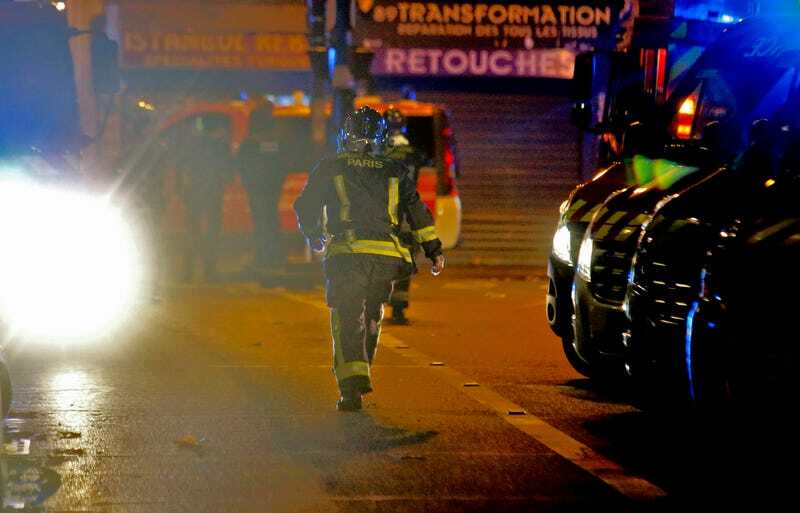 The report of brave taxi drivers offering rides to safety comes from France 24 correspondent Sophie Pilgrim’s Twitter account, where she has been providing live updates on the shocking situation in Paris. Dozens of gunshots and explosions have been heard throughout the city of Paris, with up to seven separate reported attacks on restaurants, a soccer game which was reportedly attended by French President François Hollande, as well as a hostage situation at a rock concert. Tune in to Gawker’s live coverage of events to keep up to date, and thank you especially to those taxi drivers brave enough to aid others in getting to safety.